God is the Creator and sovereign Lord over everything, he has direct and total charge over all that we know and see. A shepherd has charge over his sheep, a teacher over his class, a doctor or nurse over their patients a coach over his team. The single most important thing that all these must have is the ability to communicate with that which they have charge over, otherwise none of their expectation over each other will be fulfilled. To the first person my question would be……….. what are you expecting, a human type voice or just communication from God? For you to receive communication from God you have to know how he conveys messages to his creation. When scripture declares “My sheep hear my voice” God is simply saying my children can identify my mode of communication. To the second person again I would say God is an excellent and regular communicator, but because you are always listening out for a human voice, you will miss out probably a hundred percent of all his communication because he is not a man. To the last person I would say God is a spirit and does not necessarily need a mouth like yours to speak or ears like yours on the person that he communicates with, I can even say it is arrogant to tell him how he should communicate with you, and again you may never hear an audible voice in your whole spiritual walk, but still that does not mean God is not communicating with you. To communicate is to convey information and that does not necessarily have to be in a verbal way, to talk is to express ideas or feelings through audible speech, speaking also involves the use of a language. There is no doubt that God does know and understand every human language, he can also speak audibly. 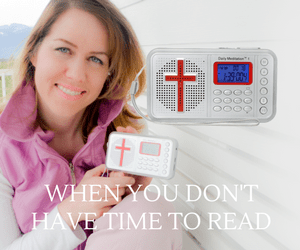 The issue here though is not about whether God CAN, but rather how he WILL communicate at a given time and your capacity at that time to pick up that communication because it is more important to YOU than to HIM, in fact a lot might depend on you picking that communication, even your LIFE might depend on it. God does communicate constantly but it is us who may fail to comprehend. It is crucial that a person identifies God’s communication so that they prosper or so that they do not pursue their own godless purpose and perish. Job 33:14-18 For God speaketh once, Yea twice, though man regardeth it not. 15 In a dream, in a vision of the night, When deep sleep falleth upon men, In slumberings upon the bed;16 Then he openeth the ears of men, And sealeth their instruction,17 That he may withdraw man (from his) purpose, And hide pride from man;18 He keepeth back his soul from the pit, And his life from perishing by the sword. At one point I needed to appoint a new administrator for the ministry, I needed the right person. I felt inside that a particular minister was the right man for the job but I had reservations. He was too quite, reserved and a sort of flat type not very charismatic. The sort of person you just skip over because he was not visible or an impressionist. One night during those days I had a dream, this particular pastor came in the dream and stood in front of me suddenly he started dancing. When I say dance I mean dance, he was doing splits, head spins, somersaults and duck walks. When I woke up I knew that I had received communication from the Lord, He was simply saying this man could do more than I thought. He turned out to be one of the best administrators we have ever had. Some years back I realized something was happening in my body, I just felt sick, weak and ached all over. I prayed went to doctors to no avail. Some friends in the United States asked some specialist doctors in their church to have a look at me. While traveling there these specialists took me in for over two weeks and conducted every test you can imagine but found nothing. I proceeded to Canada for some ministry engagements and one day I had to travel to a small town by Greyhound bus. On the way the bus stopped at a pick up point which had a restaurant and a little shop. In the shop there was a little rake with books for sale.There was a small yellow book on it with the title “How to manage stress.” I had a strong clear impression to buy the book..
Back on the bus I read it in the last leg of my journey and realized that I was experiencing every symptom mentioned in that booklet. I was STRESSED OUT! Stress happens to be the number one killer of pastors in the USA. I did not need STRONG PRAYERS, fastings or medication but relaxation and rest. For the next three months I did everything to cut on my stress levels and recovered completely. God communicated through that booklet. The other time I was in Zambia staying at a friend’s house. I had been asked to preach at a certain church one Sunday morning, but just as we were about to leave for the service I realized that a wildlife program was just beginning on TV, again I felt that draw towards the program, very strong inside and knew I had to watch it. It was about how wild dogs small as they are can catch a big buffalo. They hunt in packs of anything between ten and twenty, firstly they identify a weak or sickly animal in a herd, they then create a commotion to make the herd run, in the pandemonium they move between the sickly animal and the rest of the head and drive it away from the head when its finally alone they harass it pulling at its tail, biting here and there until it falls from exhaustion. 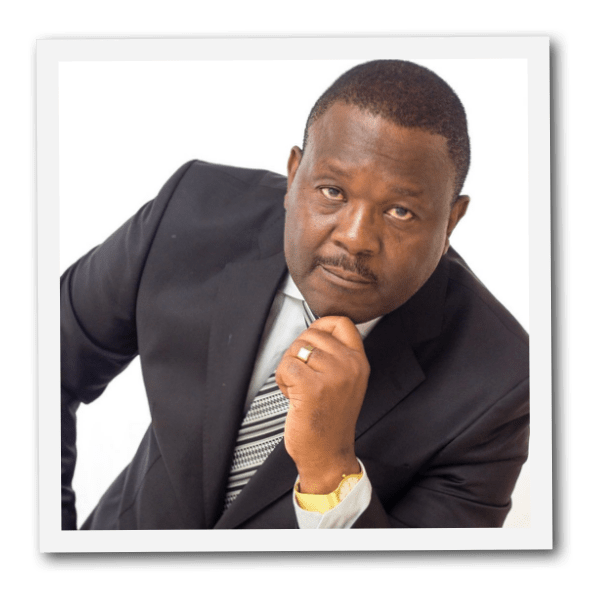 In that thirty minutes I saw how a weak believer is identified by demons, confusion caused in a church setting, the believer separated from the rest and then finished off. There was a similar thing going on at the church I preached and through that communication breakthroughs were experienced. God is spirit, the first part of you that comes alert when God begins to communicate with you is your spirit, your spirit is the one who causes you to recognize that God is actively sending a message or messages to you. After you have received the communication it is again your spirit which confirms that it is indeed God who was communicating. To sharpen and develop your capacity to discern the difference between demonic communication, and the voice of your flesh, self or God you have to be full of God’s word. Our inner spiritual voice is the most accurate and powerful means for confirming God’s communication. It does not matter if some renowned or big prophet or man of God is telling you something, if there is war resistance and lack of peace inside you do not receive it! But you have to have the right spirit. If you have a clean, humble, broken truth loving and word based spirit you will not seek prophets, you will be the prophet. 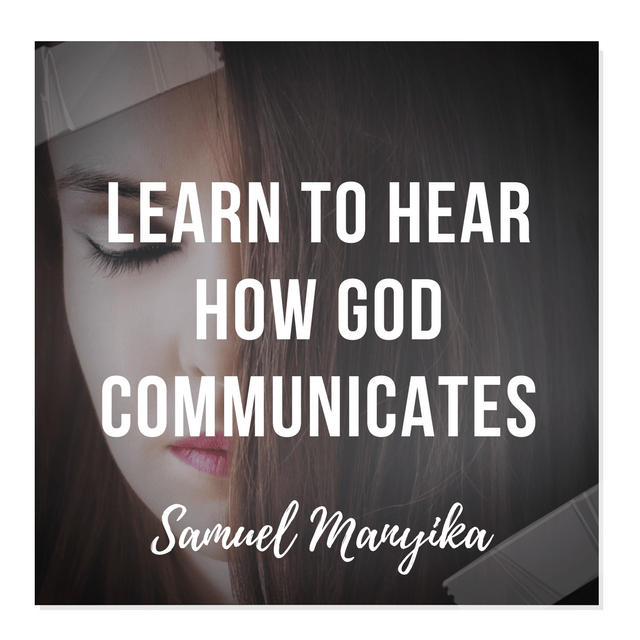 We need to accept though that we grow in understanding and recognizing God’s communication with us, we must however never put God in a human box. Forget ears ,eyes and voices, there are men and women who achieved great things for God who never heard an audible voice or saw a vision, but simply learnt to work with their spirit man in picking up those signals which can manifest in so many different ways. Preconceived ideas on how the Lord communicates can cause you to miss over 70% of what he may be trying to share with you. So do not be stuck with the hearing of an audible voice, but rather the picking of what your father may be communicating.